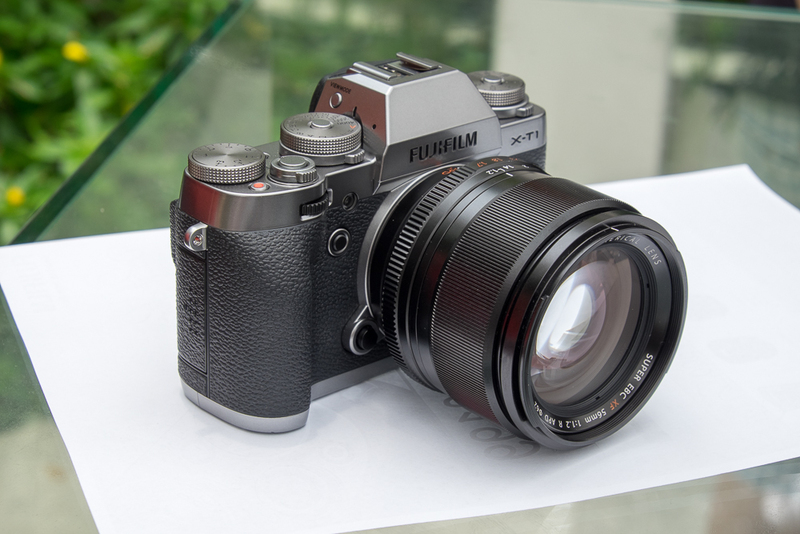 Fujifilm Singapore launched the X-T1 Graphite Silver Edition, the X100T, X30, XF 54-140mm f/2.8 and XF 56mm f/1.2APD at One Rochester on 11 Oct 2014. The event was opened to anyone who registered, and I decided to check it out. The star of the show is of course, the X-T1 Graphite Silver Edition, a small update to the highly successful X-T1 launched earlier this year. Other than adding an electronic shutter which allows shutter speeds of up to 1/32,000s and the new film simulation mode “Classic Chrome” based on the now-defunct Kodachrome, not much else has been added. However, while trying out the camera, I found that the spongey d-pad has been replaced with a much more tactile one. Hopefully this would also mean that the owners of the regular X-T1 can have theirs replaced. YS: That depressed mushy directional pad really is a step back in usability. If Fujifilm really does replace all X-T1 cameras with the new part they will be a hero in many photographers’ eyes! CK: The silver graphite finish does look quite nice, departing from the usual black and chrome finishes available with other cameras. According to Fujifilm, the silver graphite finish is achieved with 3 layers of coating on the magnesium body, making it highly durable. Much of the features of the X-T1 Silver Graphite Edition, including the “Classic Chrome” film emulation mode will be made available to regular X-T1 users in December. It’s nice to know that Fujifilm still takes care of the existing users. 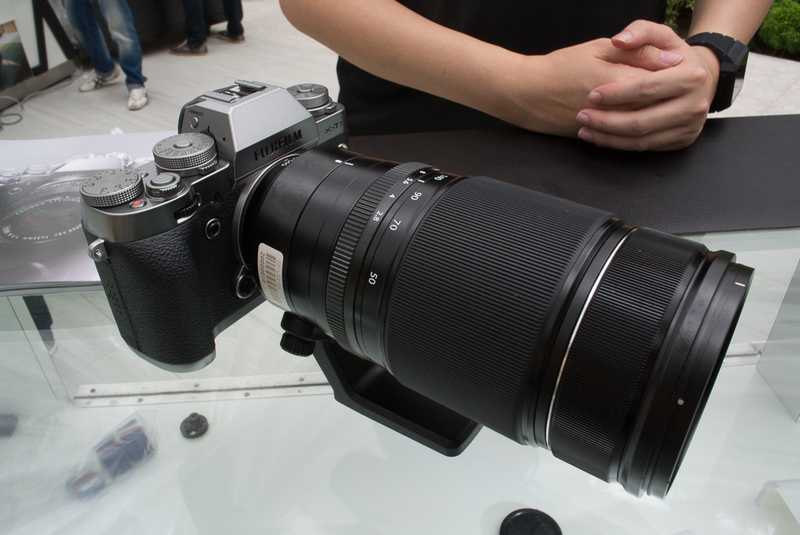 Two new lenses were also showcased—the Fujinon XF 50-140mm f/2.8 and the Fujinon 56mm f/1.2APD. The former is the first of Fujifilm’s weather-resistant lens lineup and is meant to be the equivalent of a typical 70-200mm f/2.8 on full-frame bodies. Because it’s designed for APS-C sensors, the XF 50-140mm f/2.8 is smaller and lighter, and at 995g (excluding the tripod collar) is only a little heavier than my Nikkor AF-S 70-200mm f/4G VR at 850g. In comparison, the f/2.8 version of the Nikkor weighs in at 1.54kg! 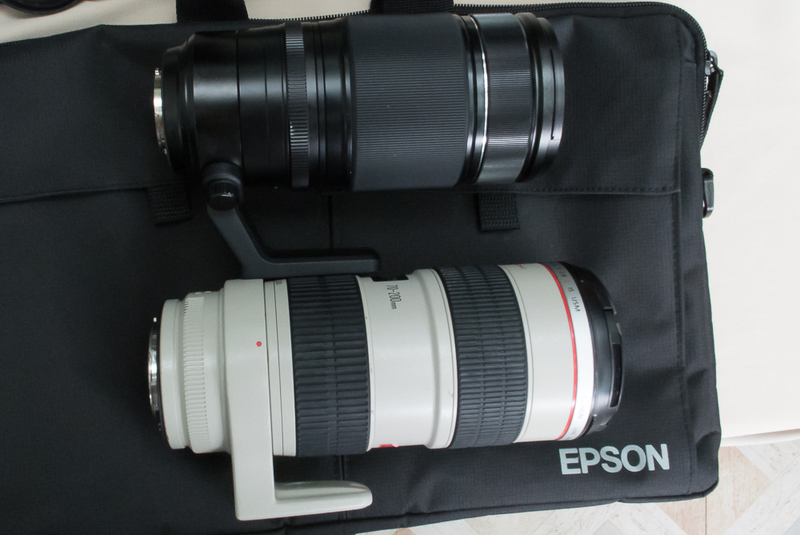 Here, you can see it together with the Canon EF 70-200mm f2/.8 L IS USM. YS: Fujifilm must be going all out on image quality here: The 50-140/2.8 is barely smaller in size at this angle. CK: Fujifilm says the lens offers up to 5 stops of image stabilisation, which supposedly lets you shoot down to 1/8s when fully zoomed in and still get a sharp picture. I decided to try it at 1/15, which turned out pretty good. A shot from the Fujinon XF 50-140mm f/2.8 at 1/15s. 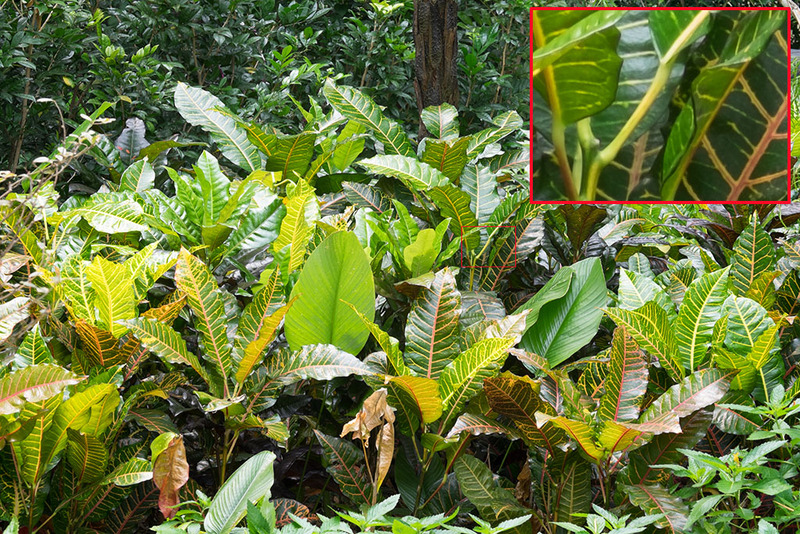 The inset shows the 100% crop. The Fujinon XF 56mm f/1.2R APD incorporates an apodization filter to create a more pleasing bokeh effect that many people love. 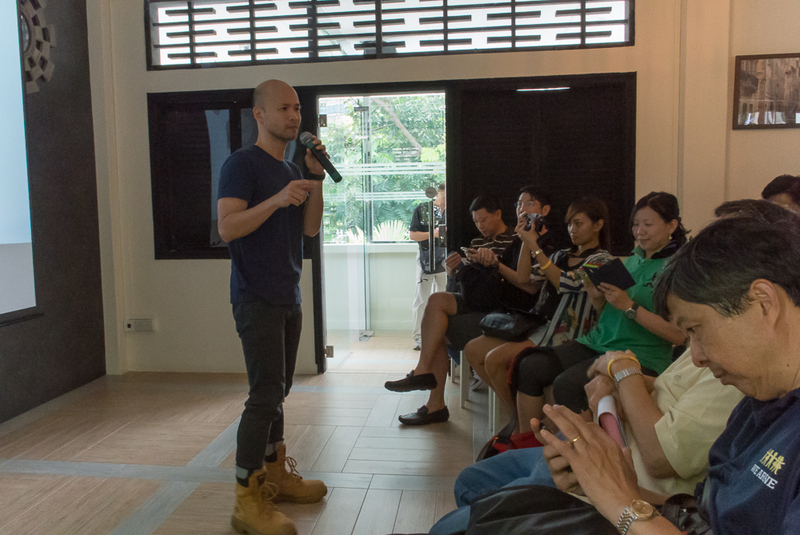 During a product presentation, Fujifilm also mention that this helps to “reclaim” some of the “lost” bokeh effect from using cropped bodies, without ending up with an overly shallow depth of field when using f/1.2 lenses on full-frame bodies. Here’s a sample shot wide-open at f/1.2. The other stars of the show are the X100T, an update to the X100 which started off the whole Fujifilm X system and the X30 compact camera. The X100T adds a focussing overlay to the hybrid viewfiner, even when in the optical finder mode. This helps to confirm focus as well as to preview film simulation and exposure effects without having to switch over to EVF mode. Speaking of EVF, it now has a 2.3-million dot resolution, similar to that found on the X-T1. Another new feature of the hybrid finder is the realtime parallax correction and frame line display, eliminating the need to focus and re-compose. 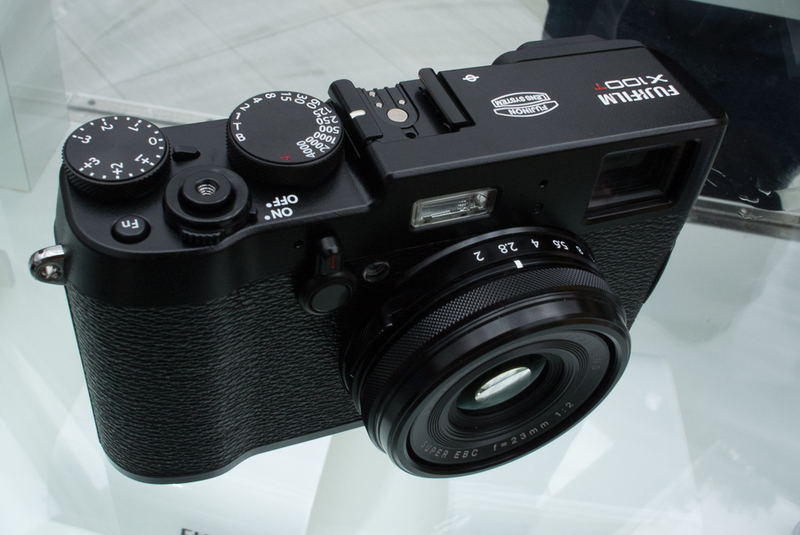 Like the X-T1 Silver Graphite Edition, the X100T also features the new “Classic Chrome” film simulation mode. Last but not least is the Fujifilm X30 compact camera. It did away with the optical viewfinder found on the X10/X20 and replaced it with an 2.3-million dot EVF. It doesn’t look quite the same as the ones in the X-T1 though, possibly because of its smaller magnification (0.65x vs 0.77x on the X-T1.) AF speeds are pretty fast on this camera, as is the viewfinder refresh. Somehow, I didn’t take a photo of it though. 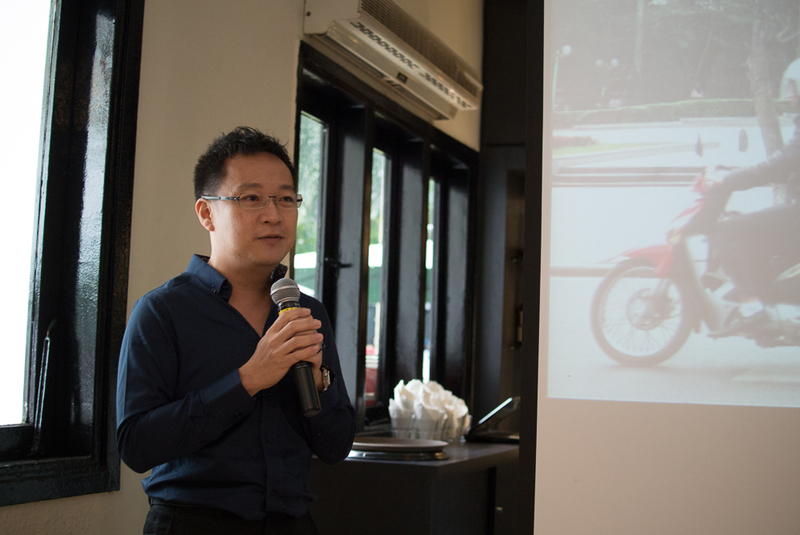 Thanks to Fujifilm Singapore for organising the event. It’s been great fun to try out all the new gear, which we hope we can get a couple of them for review. This entry was posted in First Impressions, Photography and Gear News and tagged 50-140/2.8, 50-140mm f/2.8, 56/1.2, 56mm f/1.2 apd, fujifilm, x mount, X-T1, x-t1 graphite silver, x100t, x30, xf lens by Cheng Kiang. Bookmark the permalink.